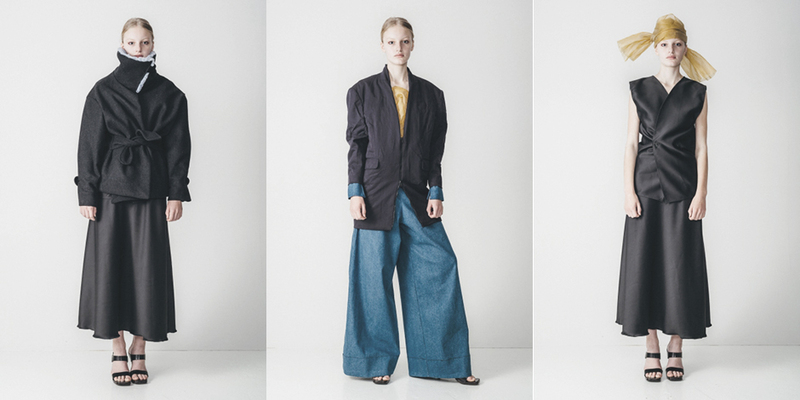 Josefina Larsson is one of Sweden’s most prominent young designers. After graduating from the acclaimed MA course at Central Saint Martins college of Art and Design in London, she started her own brand, JÅAL Atelier, a name built by initials of inspiring women in Josefina’s family tree. As we’ve missed her clothes on a catwalk since the last spring collection, Make it last asked her about what she’s up to these days. Tell us about your upcoming spring collection. – The starting point for this collection was a very intriguing Araki portrait, but the materials and fabrics have also very much shaped this SS15 collection. I came over a large collection of embroider yarn that was so beautiful in how it was organised and packaged, and I wanted to develop the collection from that feeling. The collection has also been an experimentation with volume and freedom in movement. How does a day in your life look? – I seem to have a lot of energy these days and therefore I want to work a lot. I started AW15 with ideas I didn’t finish for SS15. In my spare time I try to hang out with loved ones as much as possible or swim. What are your thoughts on fashion and sustainability? – For me fashion is about beauty and communication, newness, excitement and awareness. Not about shopping. I think; buy less and when you buy something, buy something with value that you can keep for a long time and take good care of it. And get suspicious when something is too cheap.